Happy Holidays is currently out of stock. Our novelty Christmas stockings create a unique memory for the new mothers and babies in your maternity ward. These polar fleece stockings are 11 x 16 inches and are available with either �My First Christmas� or "Happy Holidays" embroidery. Blank stockings are also available at a discounted price. 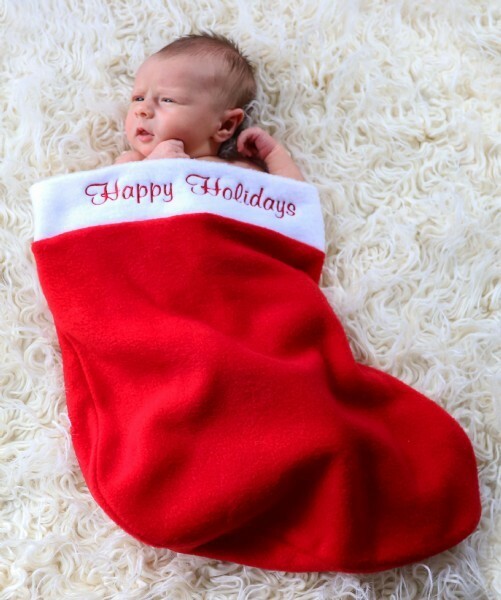 Our stockings are the perfect size for every baby; creating beautiful photographs and lasting memories for new parents. 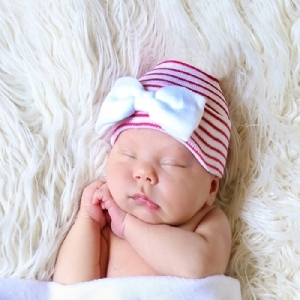 Surprise the new mothers with this specialty Newborn Stocking that they can hold their bundle of joy in. Less than case quantities are also available to better suit your facility's needs. 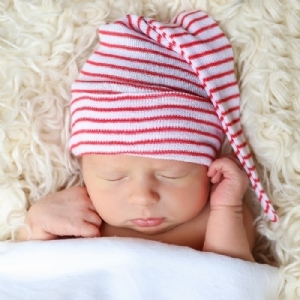 Spread the Holiday Cheer to the "Special Deliveries" in your nursery!